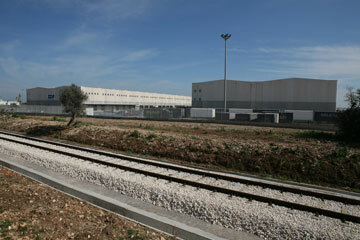 The Interporto Regionale della Puglia is one of the most innovativeintermodal systems in Southern Italy. The interporto area is about 50 hectares of which 90.000 sqm. is designated for warehousing and office space. Because of its strategic position, the The Interporto Regionale della Puglia can be considered as the only logistics infrastructure in the eastern Mediterranean area capable of handling traffic to and from the Balkans, particularly in relation to the implementation of the European Corridor VIII Bari-Varna. The Interporto Regionale della Puglia is a member of both UIR (Interportos italian Association) and Europlatform.